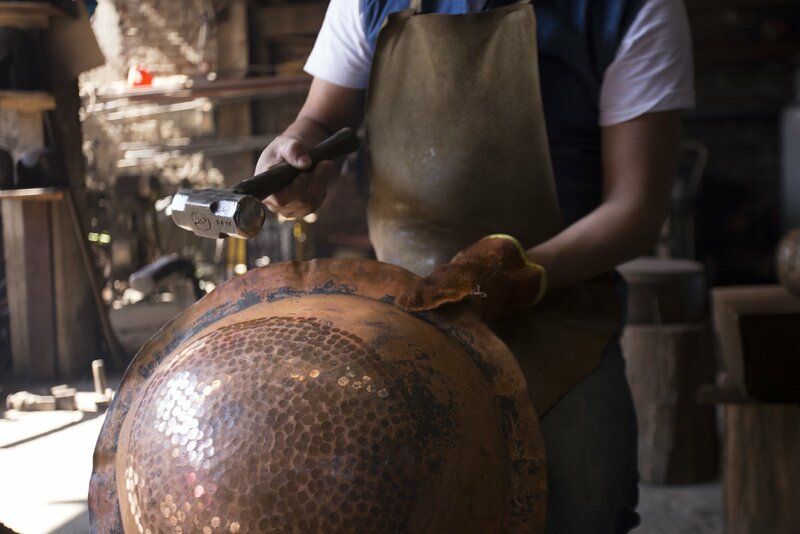 One of the traditional techniques that Filamento is fostering is working with hammered copper in Santa Clara del Cobre. For years, this skill has supported the principal commercial activity of this town, and includes knowledge that’s been passed down for generations. To create these pieces, eight or more craftsmen work together at the same time around an anvil. The copper is literally pounded when it’s a state that’s hot enough to be formed a certain way.